Just a few days of warm weather and fields of wheat change from yellow ochre to neon green, rhubarb erupts from the ground, buds on the cherry trees swell against the blue sky and the song of spring peepers is deafening. Today, Klaas was outside with his old horn seeder—his right arm swinging widely as he seeds clover into the wheat and spelt. As he walks across those fields, Klaas is truly at one with the soil, the air, the seed, the sun. He is one with the land his father tilled that is now his to tend. 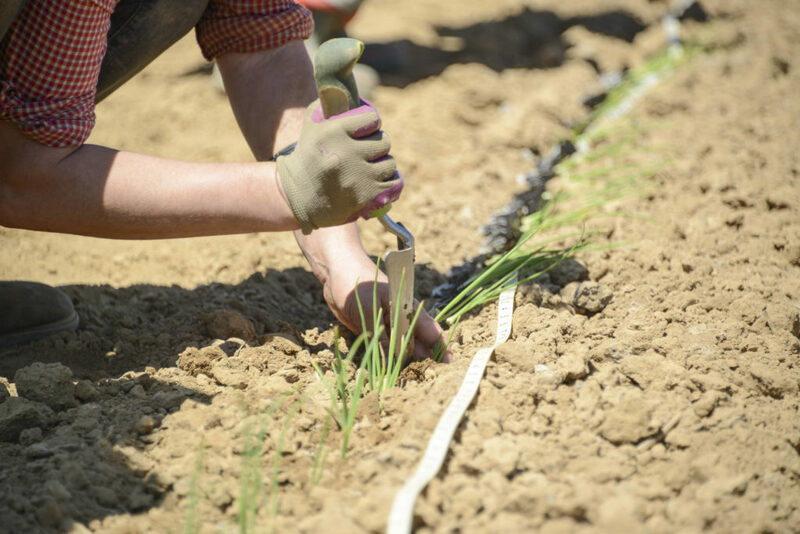 This ritual of seeding by hand—first thing in the spring—is truly an act of love that is at the very core of Klaas being a farmer and a human being. This ritual of seeding by hand—first thing in the spring—is truly an act of love. The machinery is repaired and much of our seed sits on pallets in the barn. Springtime is coming—the new season is about to begin. And As we wait for Spring, we think and plan—always looking for new ways to do it better. In agriculture, in health and in society, we mine our vast collective intelligence and resources to resuscitate defective systems and sustain poor mistakes. The arms race escalates as we react to new pesticides, genetic cocktails and medicines—all temporary fixes to conceal a flawed system. Why do we so rarely raise our eyes to look upstream and wonder why? Why do we not question the temporary fixes and look instead for the causes? Conventional agriculture is reactive. If you see a pest, kill it with chemicals. Or, kill the pest before it even exists, regardless of how much else you kill in the process. This is a downstream approach—treating symptoms but rarely considering the causes. Downstream is where we all live and it is here that we must deal with the destruction and pollution caused by those reactive approaches. Rarely do we see the connection between the symptoms and its complexity. After listening to our usual rant on soil health, crop rotations and the like, Sandy observed that conventional agriculture is like “chemotherapy for the soil.” He saw that it as similar to the toxic chemotherapy used to treat a weakened body already ravaged by cancer. By only addressing the symptoms—both in agriculture and in medicine—too often the technologies harm the good and bad indiscriminately, ultimately killing the very organism we are trying to cure. Organic agriculture takes a more proactive and constructive approach to problem solving. We must mentally take that walk upstream to understand why the problem exist in the first place. We must learn how to change our thinking, reasoning and management to address those causes and hopefully then, the symptoms will diminish. Dr. George Abawi at Cornell AgriTech is attempting to convince New York vegetable growers that soil health does matter and that dirt in not only a container into which you place seeds, fertilizer, pesticides, etc. George and his colleagues—Dr. Harold Van Es, Dr. David Wolfe and Carol McNeil—have shared that increasing soil organic matter leads to decrease in soil-borne disease and nematodes, improves pore structure, aggregation, tilth, and water holding capacity, releases more nutrients and growth promoters, detoxifies harmful substances and—ultimately—leads to healthier, more productive crops. Of course soil health matters. This is the most important concept of organic farming—if we tend the soil with care, the soil will then tend our crops. We must feed the soil with decomposing organic matter. We must plant cover crops to reduce erosion and add valuable nutrients. We must rotate crops to provide a variety of conditions. We must regularly test soil to track nutrients and add benign amendments to correct deficiencies. If there is ever a mantra for all of organic farming, it should be ‘soil’. Unfortunately, soil health is not popular in conventional agriculture. You can’t go out and buy it at a local farm supply store, no matter how much you are willing to spend. Soil health takes time, the right operations and serious intention. As organic farmers, creating healthy soil is the most important thing. 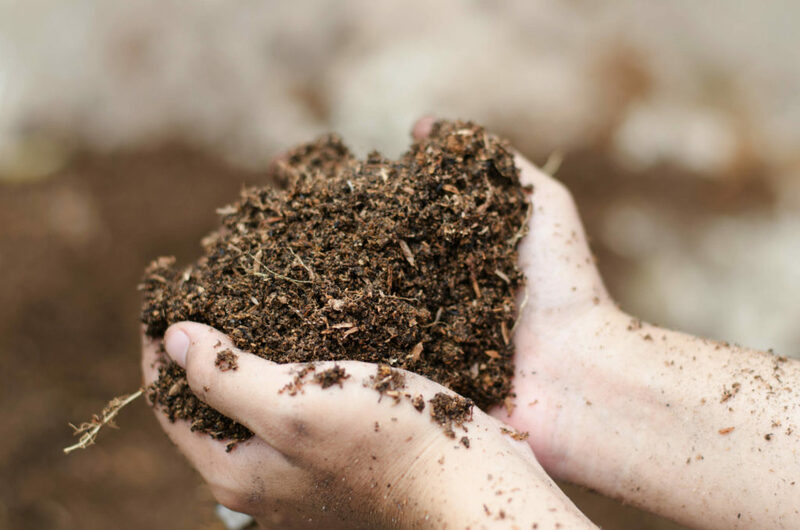 To get there it is first important to understand the biological, chemical and physical characteristics that define good and poor soil health and the operations, crops and amendments that create both conditions. What are the downstream consequences of conventional no-till—with its heavy reliance on synthetic fertilizers and herbicides, especially glyphosate? Recent studies at the University of Manitoba have found a strong correlation between fusarium outbreaks and glyphosate use. Fusarium is a pathogenic fungi that attacks most field and vegetable crops. Fusarium is one tough species, rapidly filling the biological vacuum created by glyphosate and reduced air exchange. In grains like wheat, fusarium infection produces increased levels of potent fungal mycotoxins, rendering infected crops unsuitable for food or feed use. This effect of glyphosate can last up to 18 months after application, which means that planting wheat after Roundup Ready soybeans may be a risky venture. This new discovery is of great concern since glyphosate is used in conjunction with herbicide tolerant crops on large and rapidly increasing acreage throughout the world. What are the primary weed species present on the farm? What conditions cause the weed species to grow vigorously in certain areas? How can I alter those conditions to not favor the weeds? How does one provide healthy soil with balanced fertility that will grow a healthy crop that resists insects, diseases and weeds? What are the best cultural practices and amendments for each field on the farm? What is the best crop to plant on each field considering the soil conditions, crop history, and future cropping plans that will make good use of the land, labor, machinery, time and markets? What are the best pieces of machinery for particular conditions and budget? How does one manage the farm in a way that is productive and regenerative for the land, crops, people and oneself? No matter how powerful a cocktail of herbicides was used, our neighbor’s farm has always had severe foxtail problems for as long as anyone can remember. In 2001, he was farming organically and applied gypsum (calcium sulfate) to correct the soil—which was too high in magnesium—but ran out before finishing the last pass along the woods. Since then, the foxtail is virtually gone except on the headland and the area where no gypsum was applied. Did the gypsum kill the foxtail? No, but this field is very typical of many in New York. The high magnesium content makes the soil hard and crusty. These are conditions that favor foxtail. The addition of calcium sulfate raises the calcium while lowering the magnesium, softening the soil and making it less crusty and less favorable to foxtail. 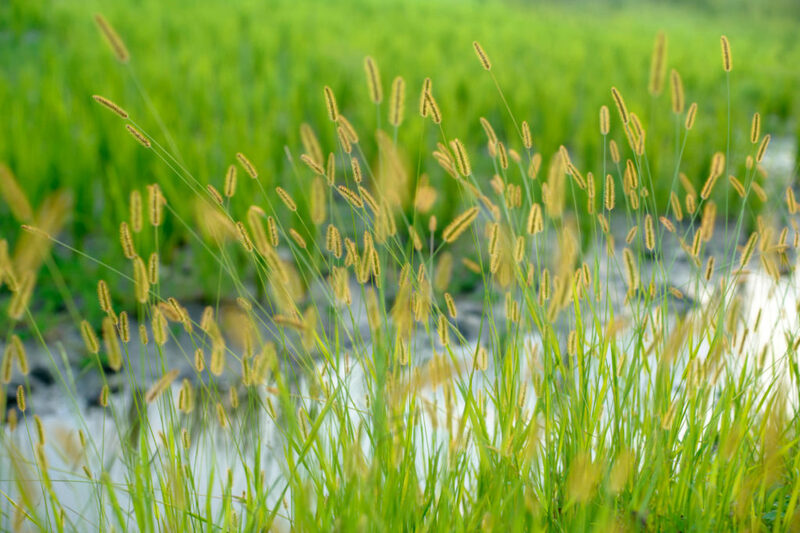 When the soil environment was improved, foxtail was no longer the plant best suited for the field. More than 20 years of applying herbicides on this field were a waste of effort and money. They did not change the soil conditions that were causing foxtail to be the dominant species. A small amount of gypsum was far more effective. Not only did it get rid of the foxtail, but it improved the growing conditions for the crops as well. However, don’t try this without a soil test. Soil amendments like gypsum or lime should not be applied unless a soil test shows an imbalance or deficiency. If gypsum were applied to soil that is too low in magnesium, it could actually make the deficiency worse.